The best replacement hoses available for personal showers. Made from a flexible, non- metallic, clear plastic with a decorative internal chrome inlay. Internal reinforcing coils and cords give the hoses far greater strength than regular metal hoses. Also available is a vinyl hose reinforced with internal webbing offers quality with economy. All hoses have standard 1/2 inch IPS connections at both ends. White & Chrome Plate Trim. For Hand Shower Wall Mounts. Heavy Duty. One Conical and One Hex All-Brass Nuts. White. This extra reach 72" hose provides added convenience by allowing you more freedom to move while using your handheld showerhead. this brushed nickel stainless steel hose is going to last the life of your shower. The hose is 72" which gives you more freedom to move while using your handheld showerhead. 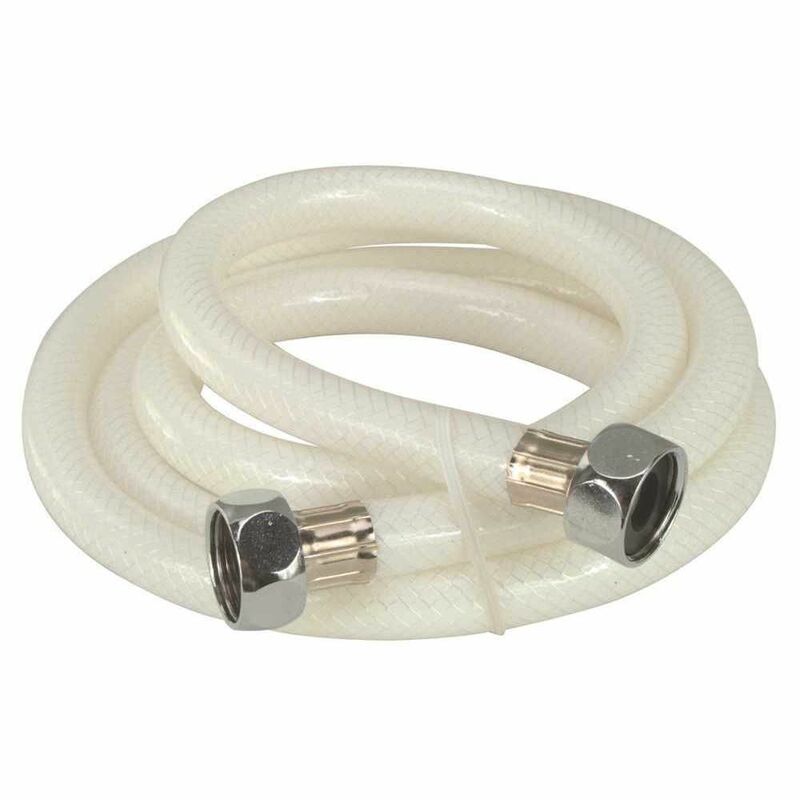 Reinforced Vinyl Hose For Hand Shower, 84 inch The best replacement hoses available for personal showers. Made from a flexible, non- metallic, clear plastic with a decorative internal chrome inlay. Internal reinforcing coils and cords give the hoses far greater strength than regular metal hoses. Also available is a vinyl hose reinforced with internal webbing offers quality with economy. All hoses have standard 1/2 inch IPS connections at both ends.